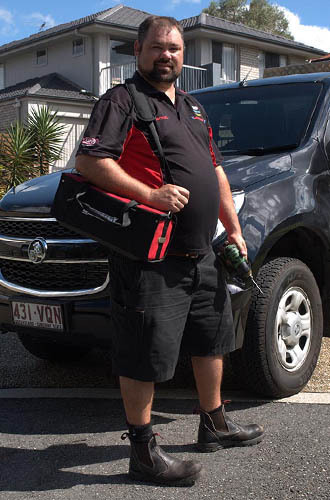 Locksmiths 2 U are a locally owned and operated business, having provided locksmith services to clients within the Brisbane CBD and southern suburbs for over 8 years. With a reputation for providing the highest quality work and customer service at a reasonable price, we offer you peace of mind in times of need. We are registered locksmiths with the Master Locksmiths Association of Australia, guaranteeing confidentiality with every job without risk. From our office in Calamvale we operate fully equipped service vehicles with coverage for all your general and emergency locksmith needs 24 hours a day, seven days a week. Our highly trained and experienced locksmiths will take care of all your locksmith related needs. Locksmiths 2 U are known for providing excellence in service to each and every client. With over 30 years of combined locksmith experience, you are in good hands. We hold your privacy and security in the highest regard and you can be assured of our discreet and professional service. Accidental lockouts, broken locks and replacement or repair – we can fix them all. We are good at what we do, with thousands of satisfied clients in the local community, ranging from the commercial and business to residential, as testament to our skill and ability. We are the team that local residents and businesses rely upon to get the job done. Call us for malfunctions, upgrades and master key systems. We can ensure that all locks are keyed alike. With current knowledge on the latest in technological and security advances we are able to offer you, our customer, the best solutions. For further information get in contact with us TODAY! and allow us to provide you with the solution to your dilemma.